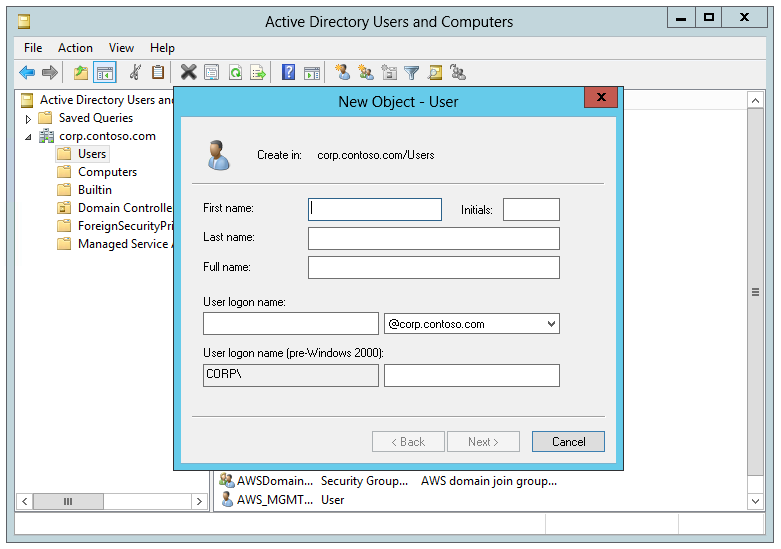 Connect existing Active Directory to the cloud or to create complete new Directories from scratch. 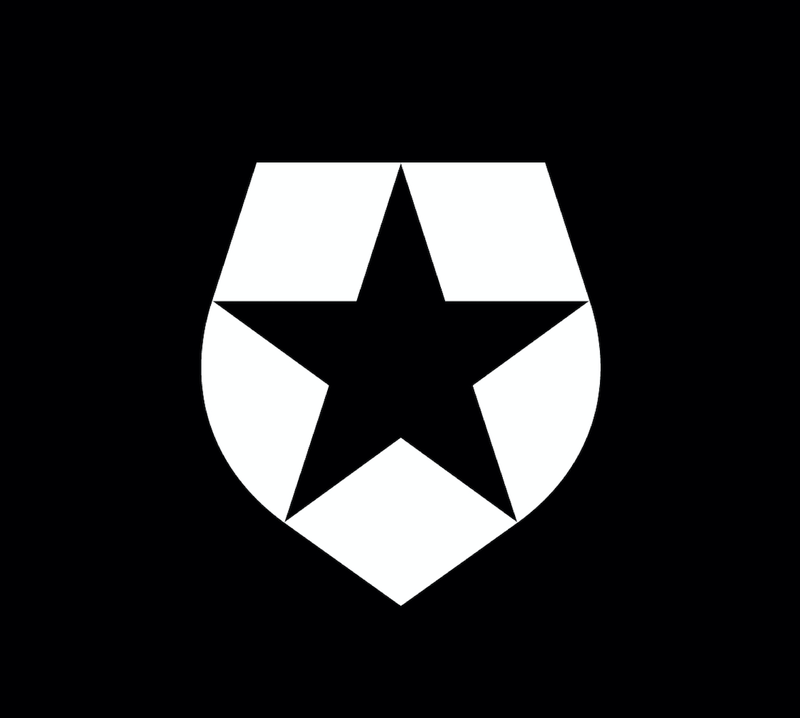 Seamless administration of AWS Resources. Seamless access to AWS applications for end-users. Simplify Deployment of Windows Workloads on AWS. 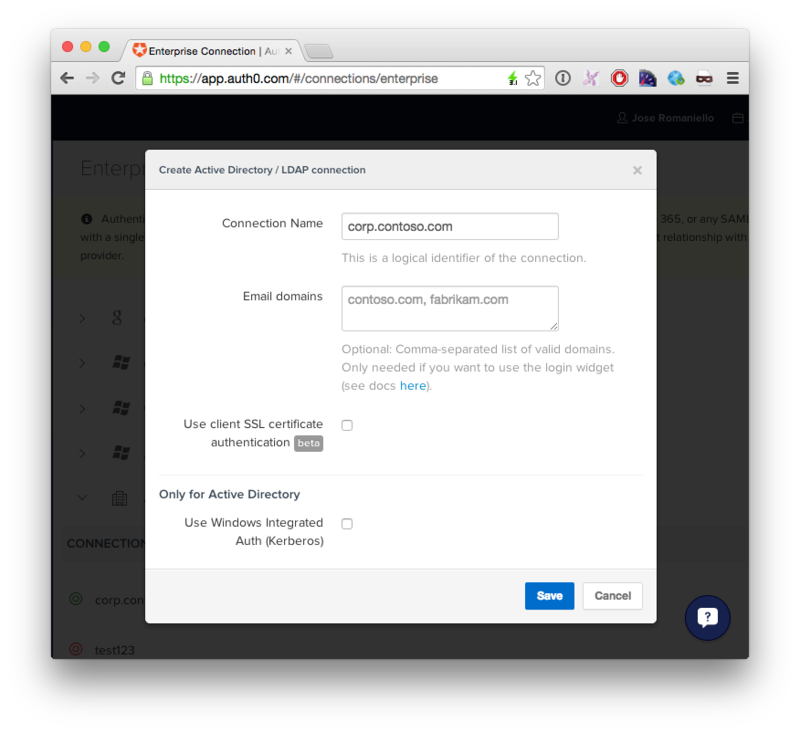 In this short tutorial we will deploy a new AWS Simple AD, connect it to an Active Directory MMC and configure it to work with Auth0. This operation can take a while to complete. 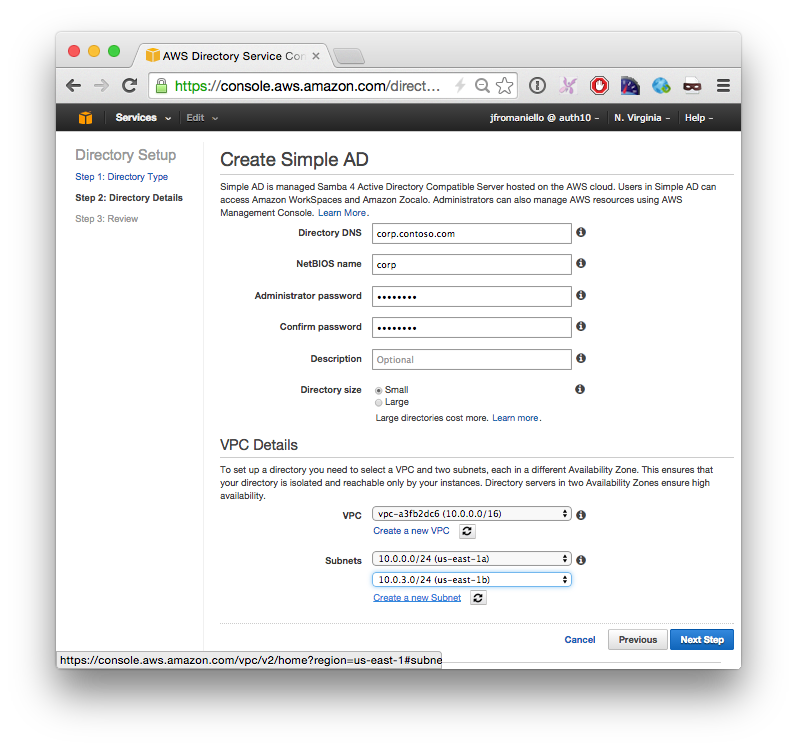 Notice that Simple AD doesn't have a way to manage its user and roles, so the next thing we are going to do is to deploy a Windows EC2 instance on the same VPC. 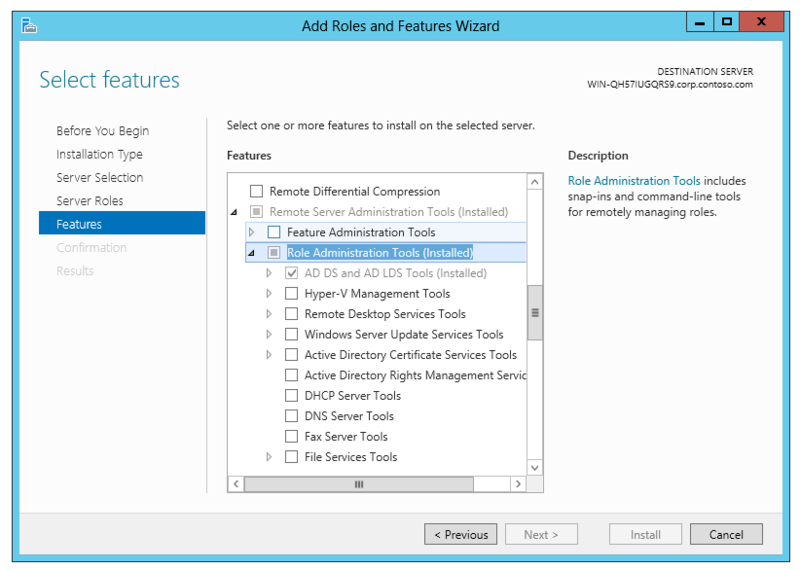 In this step we will deploy a new Windows 2012 VM instance and join it to the windows domain. Launch a new Windows 2012 on EC2. 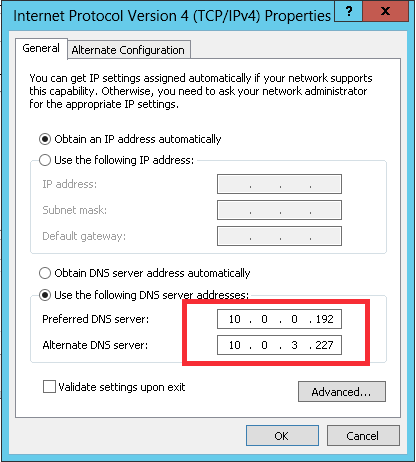 Open Network Connections or run %SystemRoot%\system32\control.exe ncpa.cpl. Right-click any enabled network connection and select Properties. In the connection properties dialog box, double-click Internet Protocol Version 4. You will have to enter a username and password, use Administrator and the password you selected when creating the Simple AD. You will need to restart the machine. 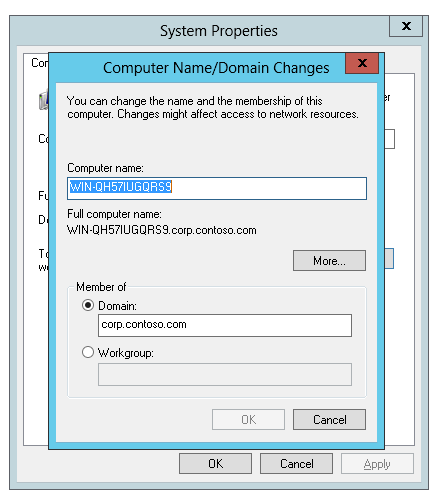 Connect again via Remote Desktop but this time use a domain account with the qualifier, for our example corp.contoso.com\Administrator. Optionally, you can enable Kerberos to use Windows Integrated Authentication on machines joined to the same domain. 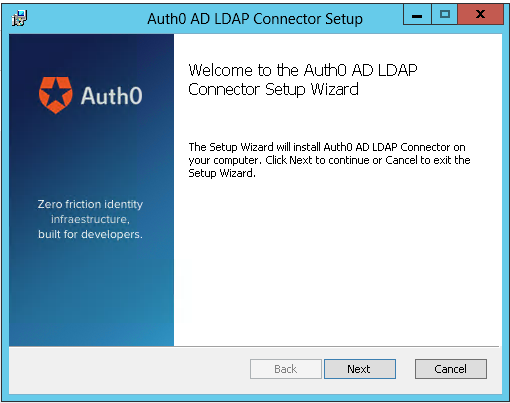 Copy the TICKET URL provided by auth0 and paste in a browser inside the Windows Machine provisioned in the previous step. 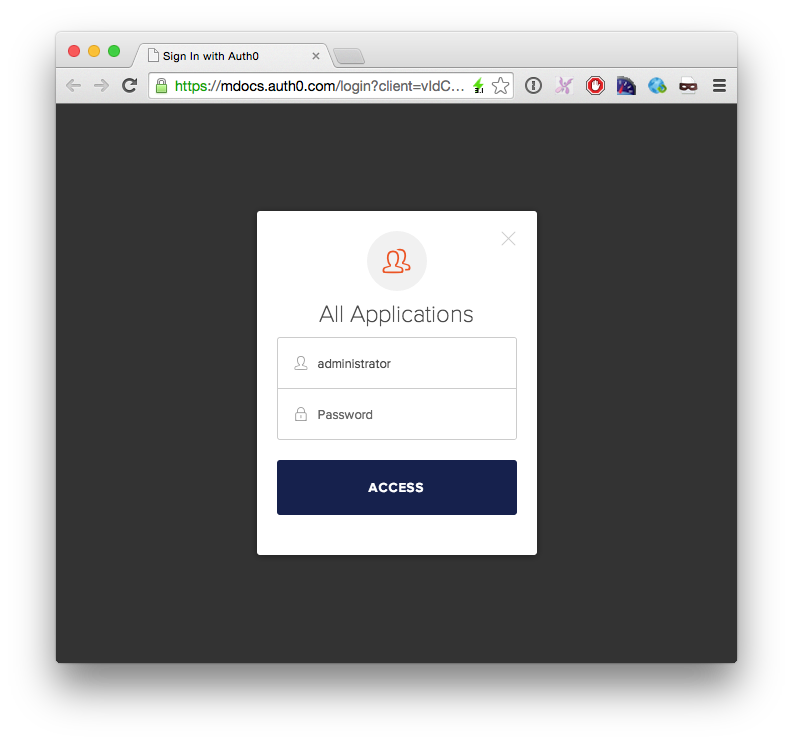 So, what can I do now with Auth0? 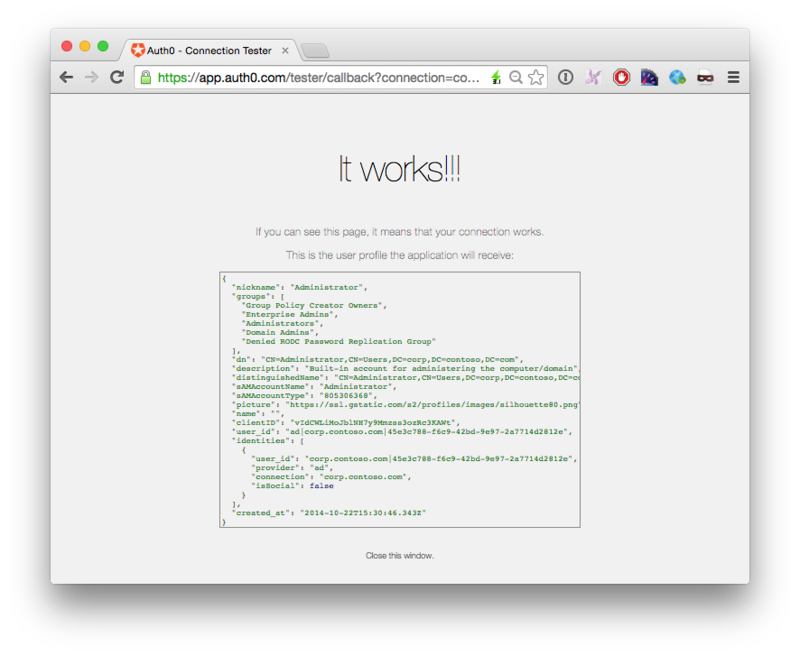 Connect the AWS AD with Salesforce, Zendesk, NewRelic and other SAML-based application.